As a member, every week we deliver inspiration to your inbox on Thursdays 7PM US ET. This will be the menu for the following week, Mon through Thurs (or change days as you please). Select from 4 lunches, 4 dinners and a breakfast menu selection. 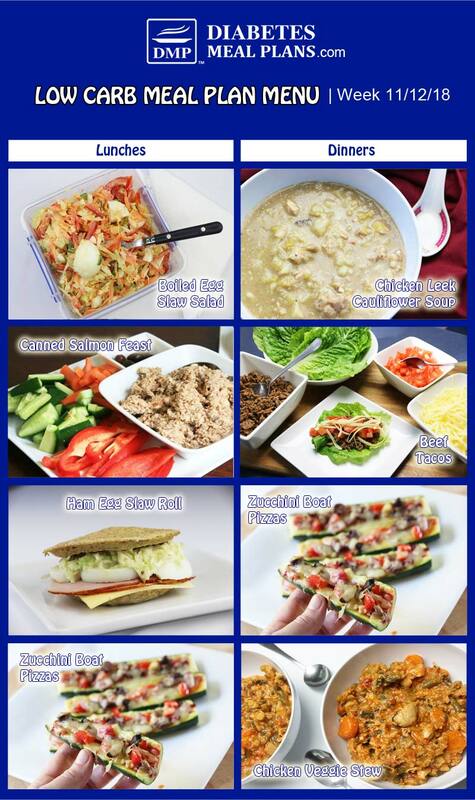 And select from original and vegetarian low carb diabetic meal plans. This week you’ll enjoy a healthy twist on pizza and Mexican tacos, some super easy slow cooker meals and a bun that can be made in 3 minutes flat – enjoy!